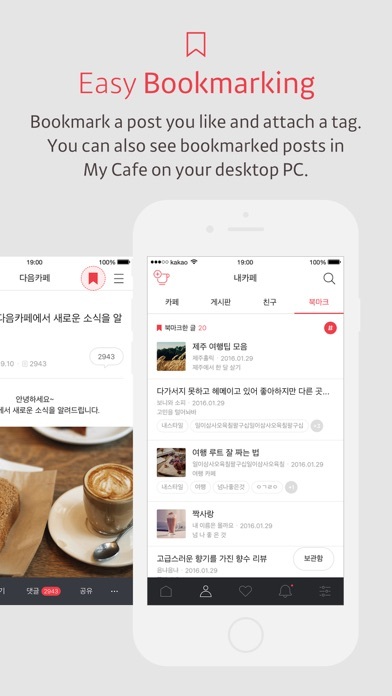 Daum Cafe has served as a place to share your stories since 1999. 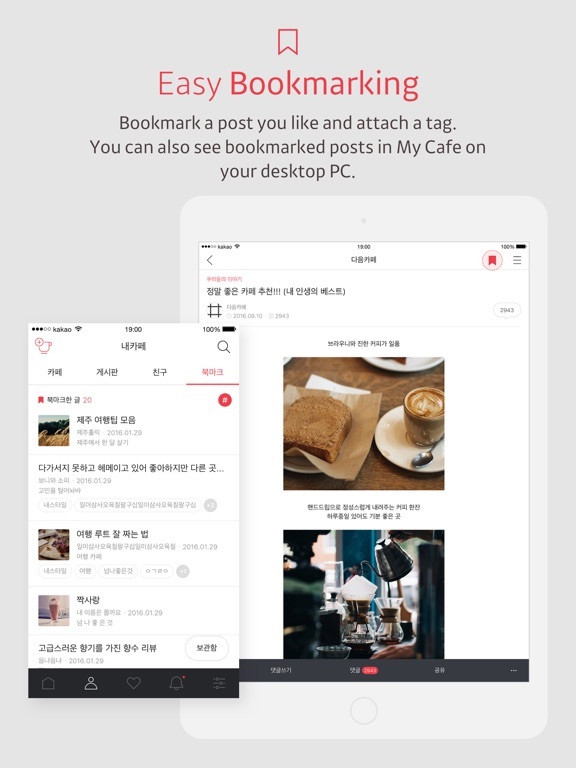 Now you can enjoy Daum Cafe's special features more conveniently through the app! ◈ Decorate your own home screen. 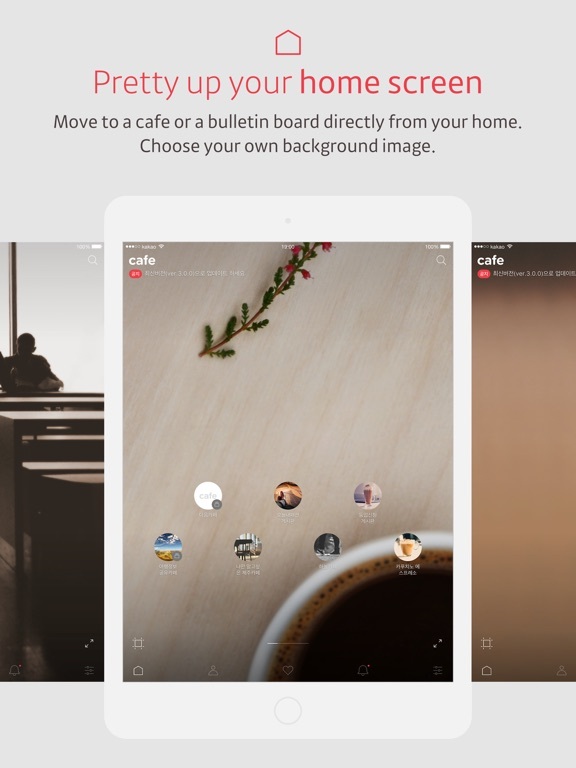 - Add your favorite cafes or boards on the home screen for fast access. 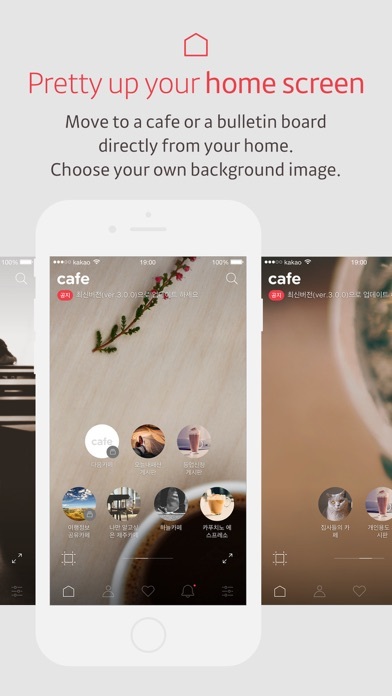 - Choose an image you like and set it as the background image for the home screen. - Tap "Gallery Mode" to see "only" the background images you have set. 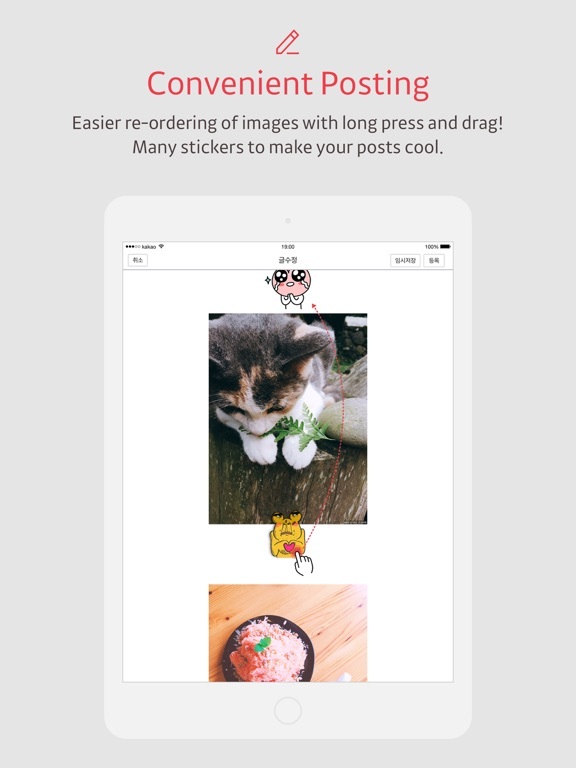 - Now you can easily attach KakaoFriends stickers and links as well as photos, videos and maps. - In the writing screen, long-press and drag any text to change the order of texts conveniently. - A special feature only available on Daum Cafe App! You can write comments while looking at a post and its comments. 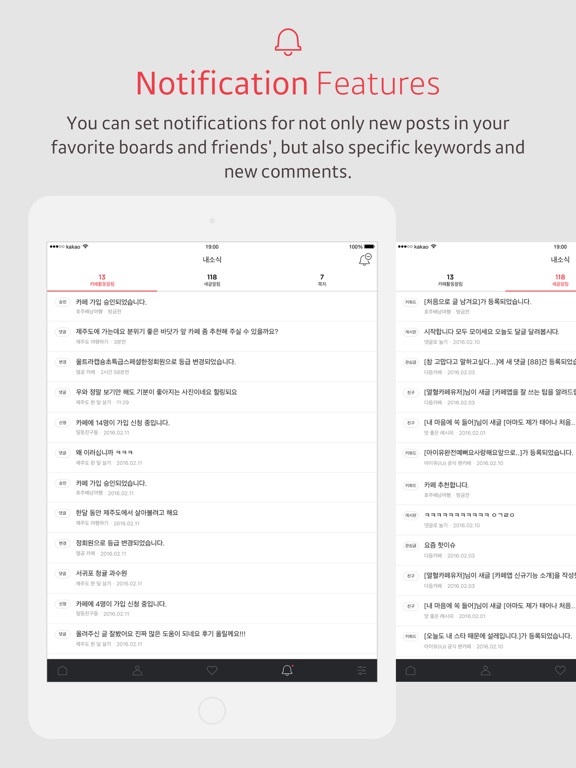 - Set Favorite Boards and Friends to receive notifications for new posts. - Set "keyword notification" to receive notifications for posts including the pre-registered keywords. - Set Favorite Posts to receive notifications when a new comment is added. - Bookmark posts that you like. You can group them using tags and access them from PC too. 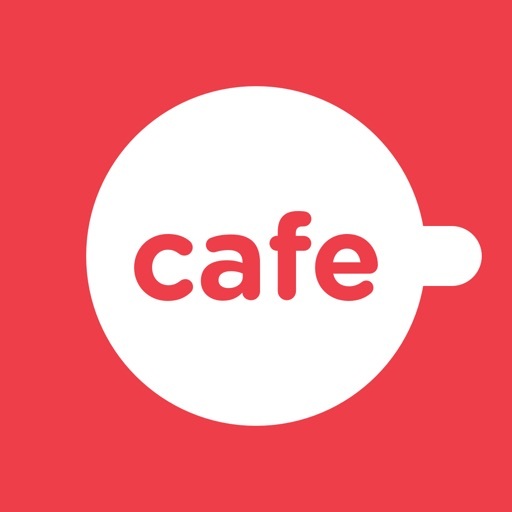 - Get in touch with your Cafe friends using the Chat and DM features. 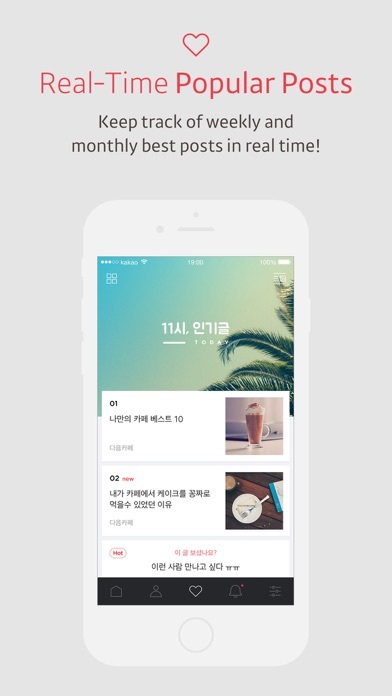 - Other useful features are also available such as Cafe Theme, Password Setting and 3D Touch. 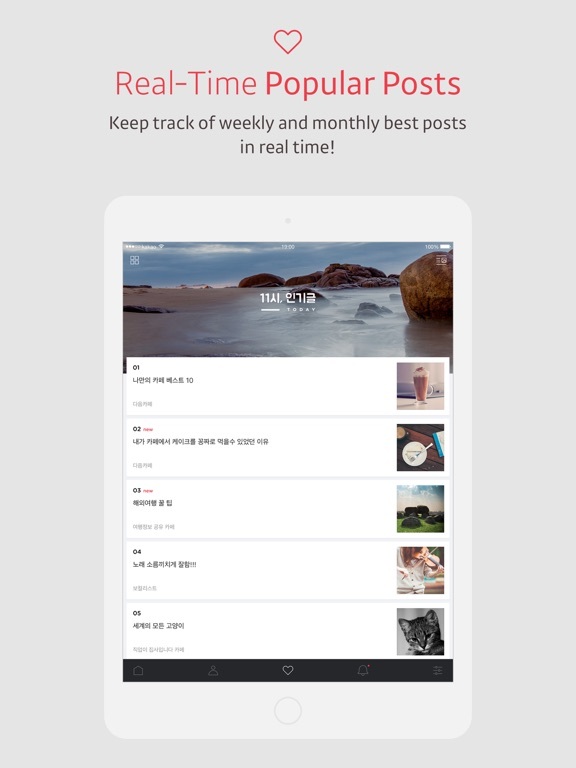 - Top 100 hot posts are displayed in real time! Time will fly while you read them. - You can also see weekly and monthly popular posts for the past six months. 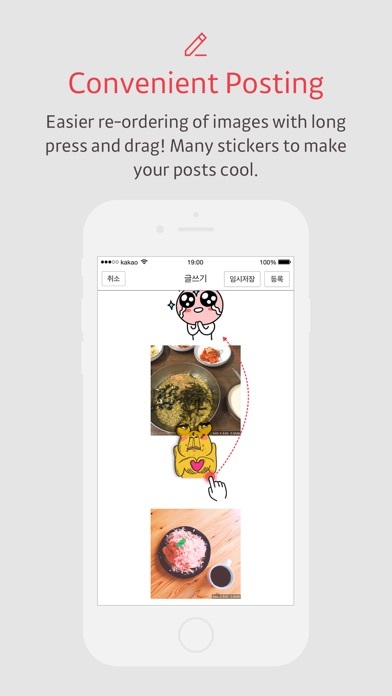 ※ Popular posts are collected based on posts on cafes which are open for search. - Album: To upload photos to a post and for the app home & member information. ※ You may still use the service even if you do not grant optional permissions.